Congratulations to Allen Sens, Professor of Teaching in Political Science, who was awarded the 2018 Canadian Political Science Association prize for Teaching Excellence. CPSA’s Excellence in Teaching Prize recognizes the winner’s commitment to the improvement of university teaching and student learning, along with effective innovation in teaching practices, learning leadership, and / or their commitment to the scholarship of teaching and learning. Sens’s current SSHRC-funded research is on knowledge mobilization through radio podcasting, and he is well known for his cross-discipline, co-taught course on Nuclear Weapons and Arms Control. Sens was previously awarded the UBC Killam Teaching Prize (2003). Dr. Sens’ pedagogical innovations include the adoption of flipped classrooms, active learning exercises, learning portfolios, blended learning and team-based learning. All of these point to an instructor who is at the cutting edge of pedagogical innovation in post-secondary education. Capping off this remarkable file is his commitment to leadership in Teaching and Learning within the Department of Political Science at UBC and in the institution more widely. His career path at UBC from post-doctoral fellow to sessional lecturer to senior instructor to Professor of Teaching is an inspiring story, particularly in our contemporary institutional environment. Allen G. Sens (Ph.D, Queen’s) specializes in international relations, with a research and teaching focus on international security. He has a particular interest in armed conflict and conflict management, especially peace operations, nuclear weapons and arms control, European security, and Canadian foreign and defence policy. Dr. Sens is currently the principal investigator for a SSHRC Partnership Development Grant on knowledge mobilization through radio podcasting. Dr. Sens is currently serving as the Director of Undergraduate Programs for the Department of Political Science. He is also co-coordinator of the Terry Project, and is a co-teacher of ASIC 200, an integrated Arts/Science course in global issues. 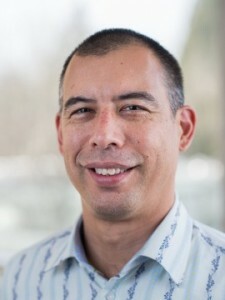 He is a graduate of the UBC Certificate Program in Teaching and Learning in Higher Education. In 2003, Dr. Sens was a recipient of the UBC Killam Teaching Prize.